BD 50/70 R Classic Bp Pack 11610710 https://www.kaercher.com/tn/professional/floor-scrubbers-scrubber-dryers/scrubber-driers/ride-on-scrubber-driers/bd-50-70-r-classic-bp-pack-11610710.html Easy to operate, manoeuvrable, battery-operated BD 50/70 R Bp Pack Classic ride-on scrubber drier with disc brush. Batteries and a suitable battery charger are included. 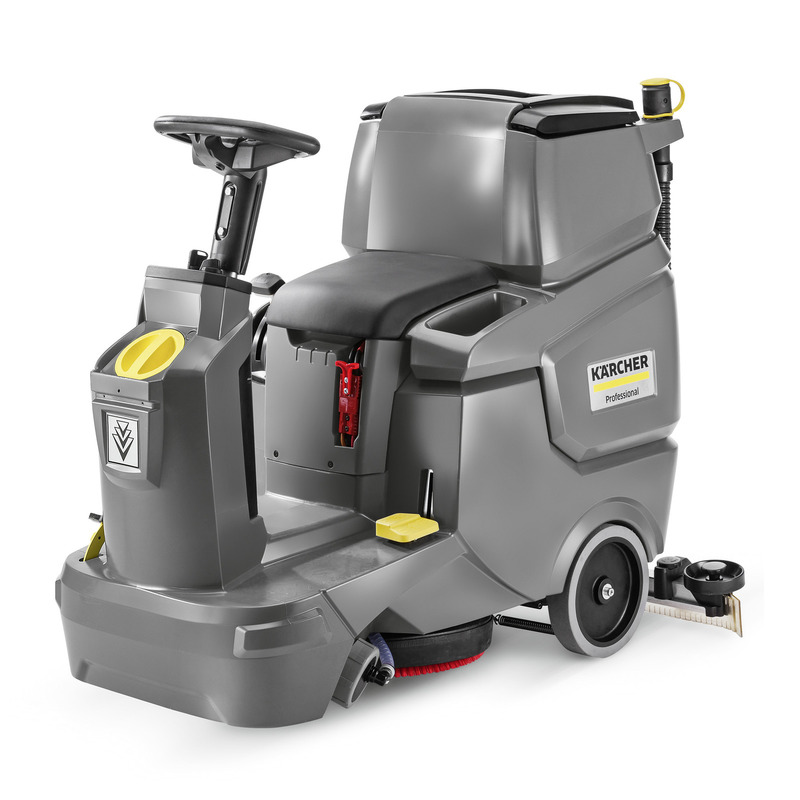 Easy to operate, manoeuvrable, battery-operated BD 50/70 R Bp Pack Classic ride-on scrubber drier with disc brush. Batteries and a suitable battery charger are included. Thanks to its narrow, compact design, our battery-powered BD 50/70 R Bp Pack Classic ride-on scrubber drier with disc brush engineering is extremely easy to manoeuvre and transport, even in lifts. As a result, this affordable basic model, operated using powerful 105 Ah batteries, is a real alternative to machines with trailers. Batteries and a suitable battery charger are included. It is easy to operate thanks to colour-coded controls; this, along with many other clever, useful details, make it a winning product. The standard Home Base for transporting manual cleaning tools can be equipped with hooks in this way. Additionally, a rubbish bag holder and a pre-sweeping mop are available as optional accessories.